As smartphone adoption rates rise, more individuals are using digital wallets to move money online says Charge.com. Businesses must pay special attention to which wallets they use, and which countries they can transfer money to and from. Transfer fees also add up quickly, and money can be difficult to get in a timely manner. Moving money in a safe and efficient manner should be a priority for business owners and contractors alike. Here’s what both parties need to know. Transfers cost money and take time. Flat fees aren’t always the best way to go, but they are the easiest to use. If possible, banks and other digital wallets will sometimes offer variable fees. In these situations, it’s a good idea to check whether the variable fee is equivalent to the flat fee. Often times, the variable fee will come out to a lower cost for the freelancer. Over time, even losses of one half of one percent will add up to a lot of lost money. For most freelancers, making sure that you avoid high rates to get paid is a necessity. Transfer time also affects how a freelancer can get paid. Transfers can take several days, and sometimes as long as a week to complete. 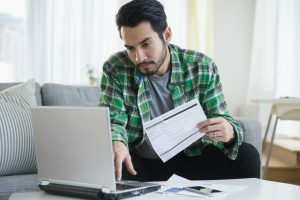 Moving money digitally seems like it should be a fairly quick and simple process, but the time it takes to move money over an encrypted connection isn’t trivial. Before you sign up for a digital wallet, you may want to ask the support team how long it will take to get money transferred to you for cash spending. This is especially true with a high risk merchant account, which might have multiple holds in place before a transfer is completed.